Exclusively Ours! Lead & Nickel Free! 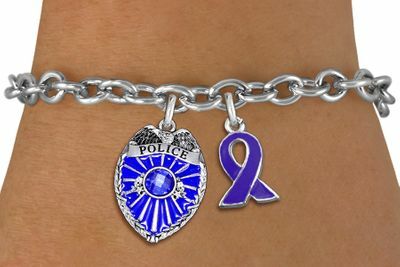 Detailed Police Badge / Shield Charm And Purple Awareness Ribbon Charm Comes On A Silver Tone Toggle Clasp Chain Link Bracelet. 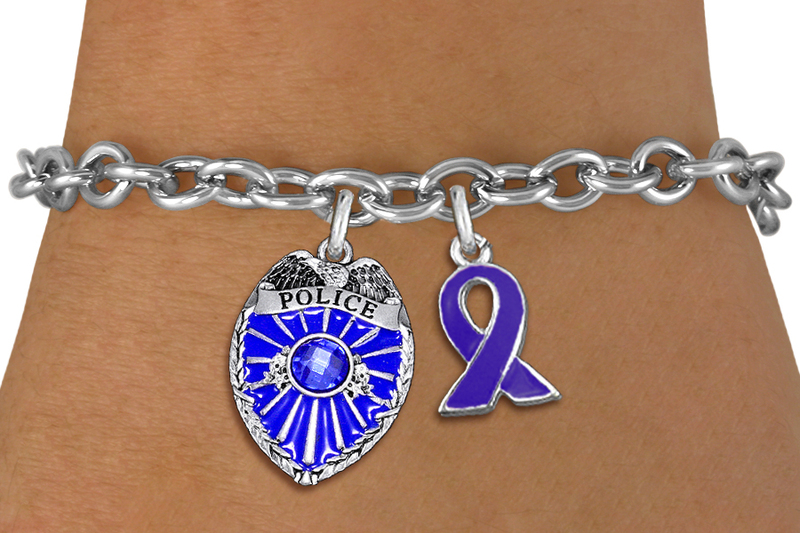 Suggested Retail Price - $22.50.